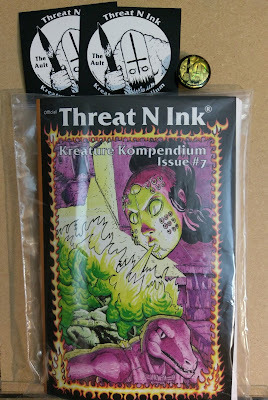 Jethrobot: Threat N Ink #7 is out now and up for sale! 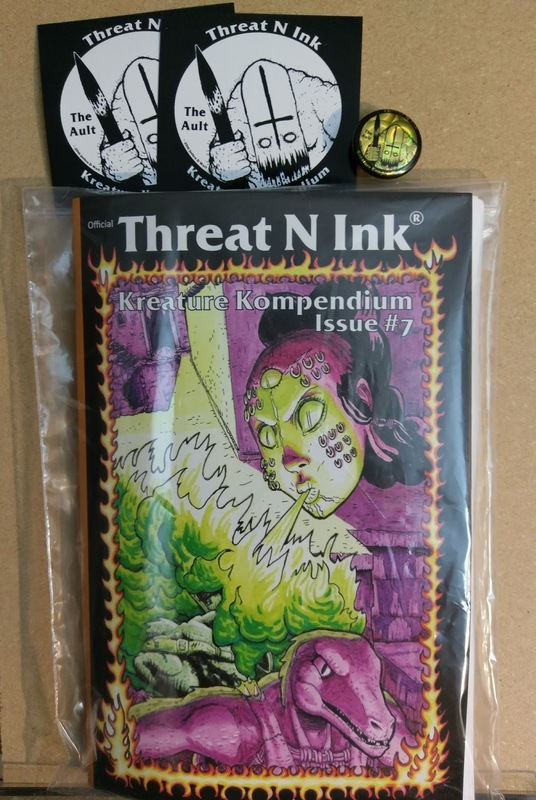 Threat N Ink #7 is out and for sale on my new store! 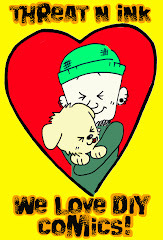 The Jethrobot store only has one item available, but there will be more soon. Come buy a zine and check back for when we have shirts, buttons, stickers and more. 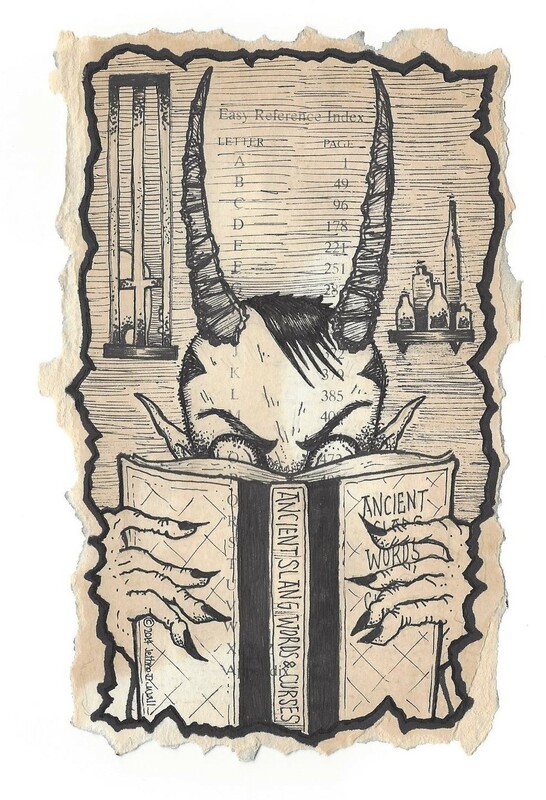 Threat N Ink Issue 7 is an 84 page zine of Monster Manual worship. 27 artists and nearly 70 monsters fill the pages of this art zine meets RPG zine. Full color cover, with 84 black and white pages of art inside. Each issue comes with two stickers and a random colored button and a map of the island where all these kreatures reside. Hey what's up! Nice to see ya here on the interwebs...I'll order a copy soon!